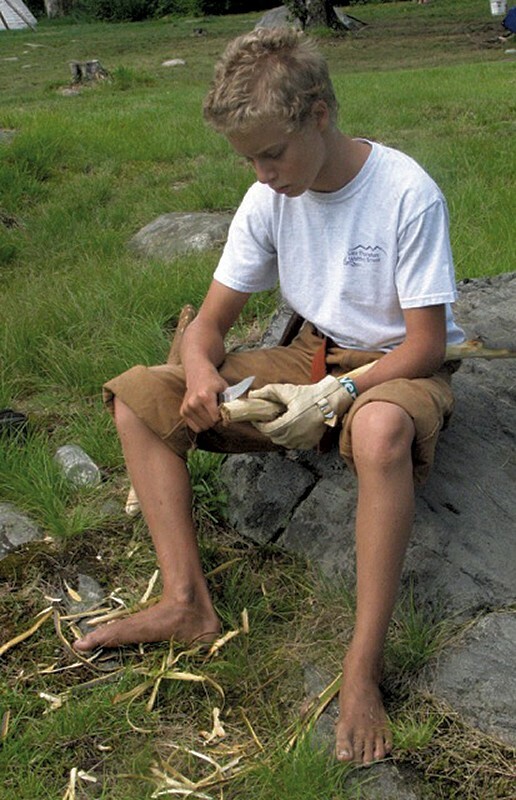 Easy Does It: Camp Staffers Share the Sweet and Simple Activities That Make Summer Memories | Camps | Kids VT - small people, big ideas! The most memorable and meaningful camp experiences are often the least complicated. From running barefoot in the grass to floating in the lake on a sunny afternoon, from sipping homemade teas to listening to animals in the woods, summer camps offer kids the opportunity to unplug, abandon their school-year worries and just enjoy childhood. We asked summer program directors and staff to tell us about a simple pleasure campers experience in their program. A simple pleasure at the Sailing Center is one I see every week in our Little Guppies camp for kids ages 6 and 7. When we have no-wind days, our Guppies love to spend a sunny afternoon swimming and playing on a standup paddle board (SUP) tied to our dock. 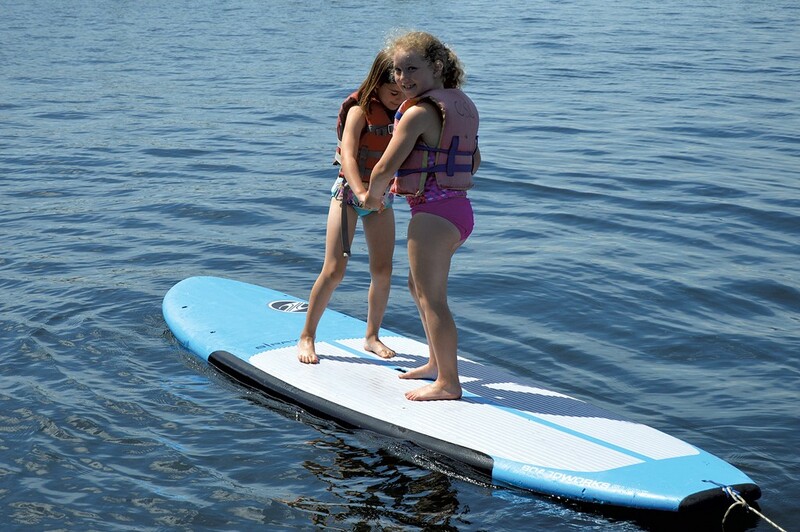 The SUP becomes a platform to jump off of, a safe zone in a game of chase, a challenge to see how many Guppies can fit on the board at once, and a generator of smiles and giggles all afternoon long. 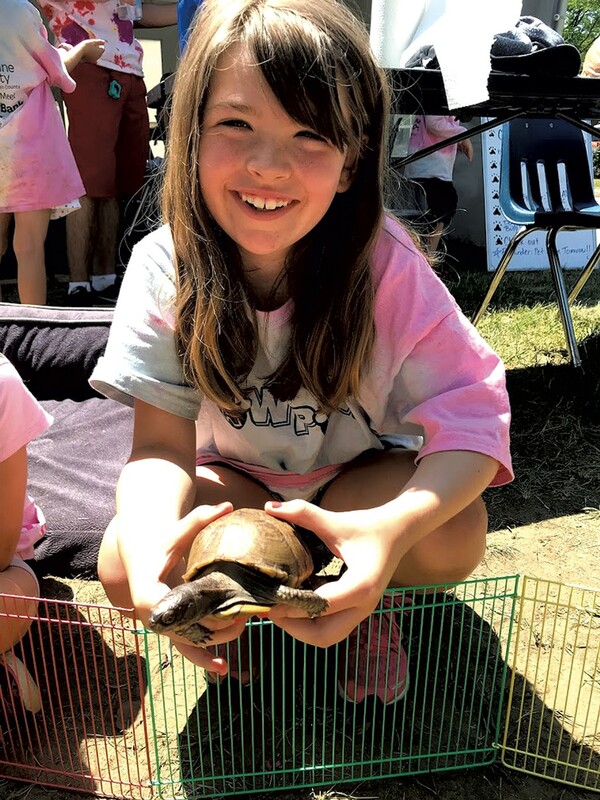 At Camp Paw Paw, a simple pleasure the campers will enjoy is taking care of Carmen the box turtle! They will learn about her species, feed her, clean her cage and give her fresh water every day. Usually early in the week, campers visit the Flynn Mainstage and have a tour of the stage area and backstage. The tour allows campers to examine the inner workings of the theater, from learning about the complex rope-and-pulley system that manages the many curtains, to examining the catwalk safely from the ground, to seeing the green room where famous performing artists have relaxed, to sitting in front of the lighted mirrors in the chorus rooms. This experience gives campers attending our performing arts camps a window into the world of a professional performing artist. Night Eagle is all about simple pleasures: enjoying the call of a loon as it flies overhead, making its way to Wallingford Pond; trudging through a wetland and seeing a moose lift its head as it stands majestically after taking a drink; creeping up on a group of otters as they frolic around the floating dock in the swimming area; being able to go barefoot whenever you want and enjoy the feel of the earth under your feet without being told to put your shoes on; learning to make homemade ice cream the old-fashioned way; or baking loaves of homemade bread in an outdoor clay oven and then slathering butter on it when it's still warm. During hot afternoons we have restore time, which is full of the simple pleasures of a Vermont summer day. Taking goats out for a forest romp is a sweet way to beat the heat. From the herb garden, kids make refreshing sun tea. Turns out mint, lemon balm, chamomile and bergamot are for us boring adults. The kids mix up and guzzle down tea made from everything from tarragon and chives, to borage and dandelion. They also love to sip them through shallot or chive straws! We also visit the marsh and get up to our waists in oozing mud — pretty refreshing once the hosing down is complete. Definitely the best simple pleasure that campers have at Wildflowers is the ability to freely explore the studio for over an hour every morning at their own pace. Some children come in needing quiet time in the Lego loft. Some children dive right in with scissors and a roll of masking tape at the tinker bench. Sometimes there's a small group laying the groundwork for an adventure in the sand boat. What's amazing is watching it unfold every morning — kids getting the time and space they need on that particular day to bloom. 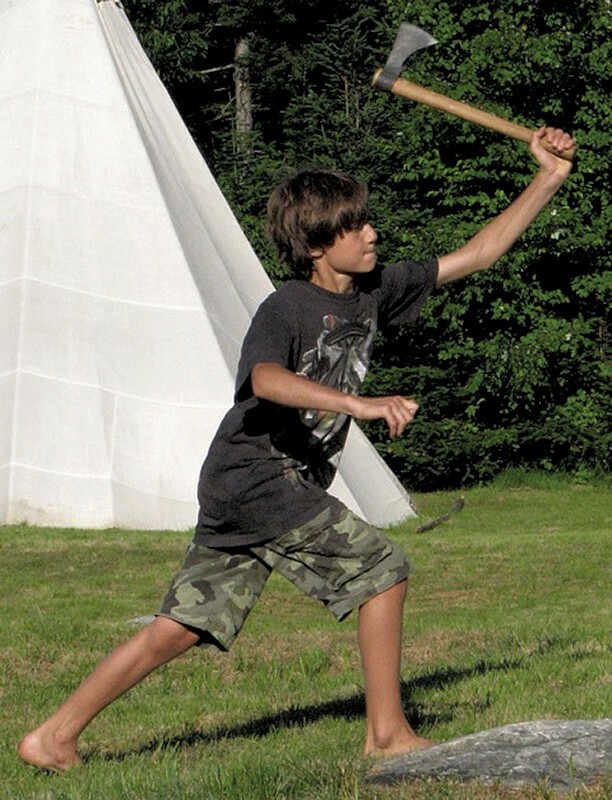 A simple pleasure that kids experience at camp is sitting on a rock, immersing themselves in the outdoors and just getting to move at a slower pace. Groups are outside for up to seven hours a day during day camp and 24 hours a day during expeditions. Simple pleasures during the days are listening to birds and chipmunks, feeling rocks and moss, and smelling leaves, rain and pine trees. A simple pleasure we enjoy at Rock Point Camp is our morning circles. It is a time to connect with campers and nature, as well as gear up for the day. In circle, we often sing songs, share what we are grateful for and take a few moments to be mindful of our surroundings. It helps set the tone for what our camp is all about.